I don’t particularly care whether the draft is televised, or even made public, except for the dark-hearted joy of mocking the [obviously insanely talented and wealthy and successful] players who are selected last. I’m not sure how it would be possible to know whether the new draft format actually contributed to the quality of this game, and I’m not sure how it will be possible to know whether or how a public draft would have such an effect on future games. For now: there was a draft; the 2018 All-Star game was Good; therefore let’s just go with it. If it is reasonable to believe a public draft will make future All-Star games better, then I suppose I am for it. 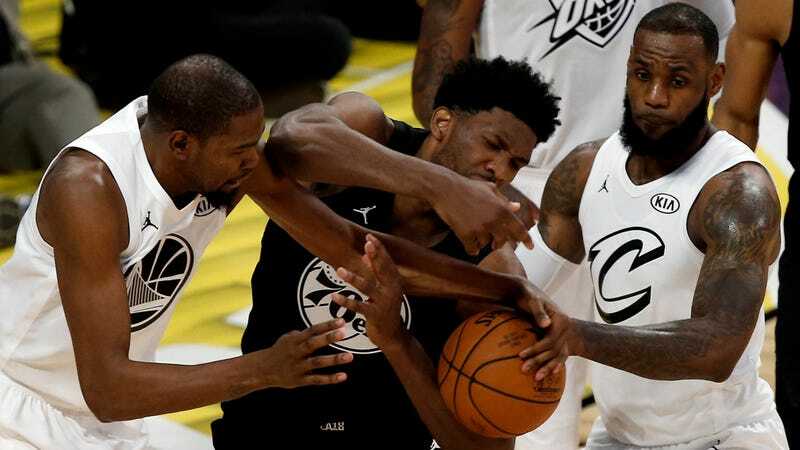 Mostly a televised event would just be another block of programming for the NBA to sell, and for whoever broadcasts it to sell to advertisers. But I can certainly imagine a situation where, say, Steph Curry has to squirm while choosing whether to draft, say, Draymond Green or Ben Simmons, and that would for sure be a hoot.